Seabourn took home enough hardware in 2017 to build a new cruise ship. The ultra-luxury cruise line secured a whopping 22 top travel industry awards and honors over the course of the year, including "world's best small ship cruise line." Both World of Cruising magazine and the Cruise International Awards named Seabourn the best luxury cruise line while Cruise Critic's U.K. and Australia editors each singled out Seabourn as the industry's best. The Seattle-based travel supplier was also recognized as the best cruise line for couples by U.S. News & World Report. According to Cruise Critic's U.K. and U.S. editors, Seabourn boasts the best enrichment at sea. Meanwhile, the Food & Wine Hotel Awards 2017 and Cruisetruth.com celebrated the cruise line for having the best star chefs and over-the-top suites, respectively. 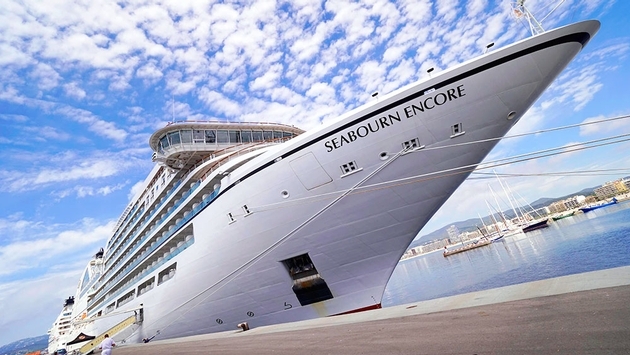 The newly-launched Seabourn Encore was also a huge hit this year. The luxury vessel was awarded best new ship at the Cruise International Awards and won Travel Weekly's Gold Magellan Award for overall mid-size cruise ship. 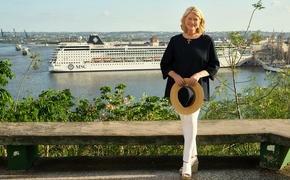 Porthole Cruise Magazine Readers Choice Awards also awarded the Seabourn Encore as the best luxury ship. Additionally, the publication's readers singled out Seabourn's Africa and Middle East itineraries as tops in the industry. In total, Seabourn walked away with seven Travel Weekly Gold Magellan Awards during 2017, including best luxury ship spa design (Spa & Wellness with Dr. Andrew Weil), luxury ship entertainment ("An Evening with Tim Rice"), education program (Seabourn Academy) and loyalty program (Seabourn Club). "As we mark 30 years as an industry leader, with the most consistent and newest ultra-luxury fleet and Seabourn Ovation launching in May 2018, we're proud to know that our efforts to provide the best ultra-luxury cruise experience are recognized by our guests and throughout the travel industry," said Seabourn's president, Richard Meadows in a statement. "The honors we received in 2017 are a recognition of our teams' focus both on board and on shore who are committed to delivering exceptional Seabourn moments that delight our guests and create the world's finest luxury travel experiences." As Meadows alluded to, Seabourn has positioned itself to receive even more coveted recognition in 2018 with the arrival of the Seabourn Ovation. The ship will boast similar characteristics to the Seabourn Encore so it appears poised to win over guests and travel professionals alike.